Bok choy may not be a considered a superfood, but to us it is a super food, and here we are giving it the respect that it deserves. 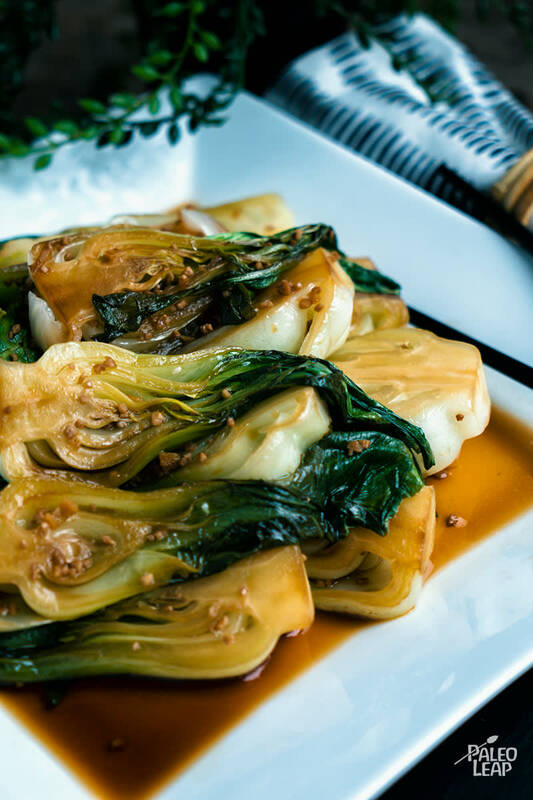 It turns out that bok choy is one of the most nutrient-dense plants in the world, and although it is known commonly as Chinese cabbage, it doesn’t form heads like the cabbage we know and love. It acts more like a mustard green, forming dense clusters of leaves. You’ll often find it in Asian dishes, such as this shrimp with bok choy stir-fry. Let us predict that today, however, you will be serving it with minced ginger and garlic, along with coconut aminos (in place of the traditional soy sauce). And although this recipe serves 4, it is easy to scale up as there are very few ingredients. Why do we highly recommend you try this particular recipe though? Well, bok choy is chock full of vitamins A, B6, C and K, and minerals too: calcium, iron, magnesium and zinc. A simple vegetable can help you improve your bone strength, keep your vision in line and boost your circulation. Pretty super if you ask us! What to serve this nutrient-dense side dish with? We would suggest just about any of your protein-rich favorites. Personally we would go with a Thai beef curry or a grilled ginger lamb chop, just for a change. Heat the coconut oil in a skillet over medium heat. Add the ginger and garlic and cook 1 to 2 minutes, or until fragrant. Pour in the coconut aminos and add the bok choy. Turn the bok choy while cooking, making sure they’re well coated, 3 to 4 minutes. Add the water, cover, and cook another 4 to 5 minutes. Adjust seasoning and serve topped with sesame seeds if desired.